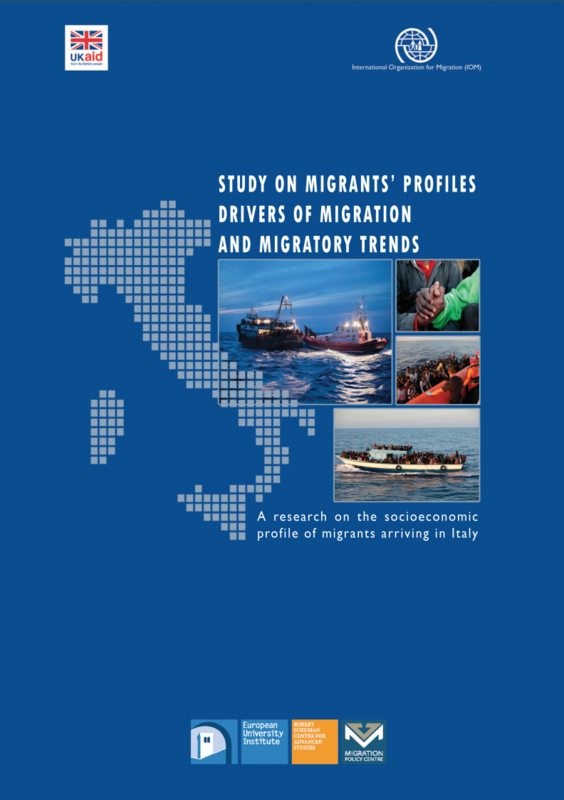 The “Study on migrants’ profiles, drivers of migration and migratory trends” analyses the socioeconomic background of migrants and refugees who have fled to Italy. Based on data collected from interviews with 1,031 migrants, it compiles information about their education level, work experience, skills, professional aspirations and future employment prospects. The aim of this research is to help policy-makers in Italy and across Europe get a current, in‐depth profile of migrants, understand what drives them to leave home, what influences their decisions during their journey and how they can better integrate in Italy. The International Organization for Migration (IOM), with support from the UK Department for International Development (DfID), commissioned the Migration Policy Centre (MPC) at the European University Institute (EUI) to carry out this research.